Cathal Geoghegan is the new-ish head of the Henderson Foodservice, part of the Mallusk-based Henderson Group. Broadly experienced, he understands the need for scale and uniqueness in this increasingly competitive space and believes that a cool head and a plan are the best options for an orderly Brexit. That’s the ethos driving Cathal Geoghegan’s collaborative approach to business. 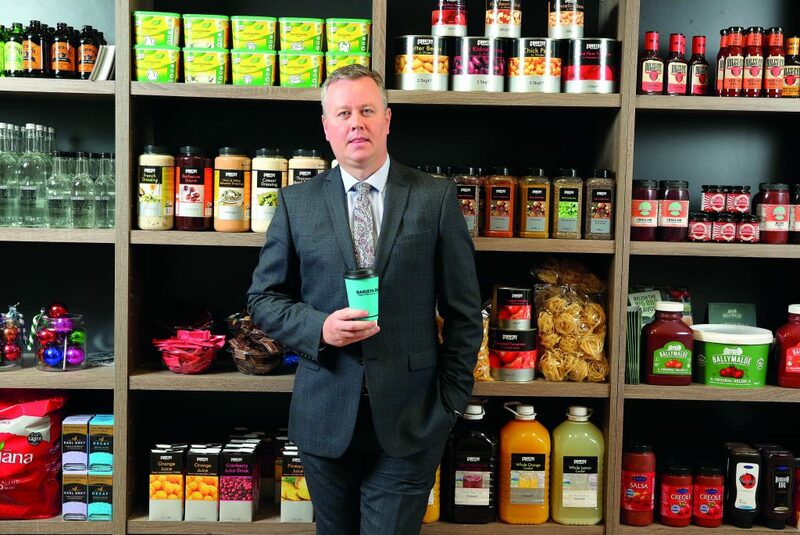 Now in his sixth month with Mallusk-based Henderson Foodservice, the Galway-born MD is clear that while growth is very much on his agenda, it can only happen in the context of a partnership that involves the entire supply chain. It’s a topic he returns to frequently in conversation, insisting that when partners have a genuine desire to do business, a mechanism will always be found whereby they can trade. Diversification is the other key plank in his growth strategy – a clear carry-over from his 18 years with the Mount Charles Group, where rapid product and service divergence has been essential to the company’s survival. Cathal Geoghegan arrived at Henderson Foodservice in August as successor to Damian Barrett. As MD at Mount Charles, he had presided over turnover growth of 120 per cent, restructured the senior management team and introduced the business to innovative new revenue streams in the cleaning, security and support services sectors. He arrives with his new employer at a pivotal time as work continues on the latest phase of a £20m redevelopment of the group’s headquarters site at Mallusk. The work comes on the back of record profits for the Henderson Group in 2017 – up by eight per cent to more than £20m. In January, the company’s familiar blue warehousing adjacent to the M2 was demolished to make way for the foodservice division’s new warehouses, although these won’t be fully operational until 2021. Henderson Foodservice acquired Monaghan-based BD Foods in July last year with the aim of strengthening the company’s product appeal in the hotel and high-end restaurant sectors, but the purchase also bolsters its presence in the market south of the border and offers it a valuable additional foothold in the event of a painful Brexit. Capital investment like this is one element of the foodservice growth strategy, but there is also a focus on human resources and the development of distinctive new products and services. In the meantime, the foodservice division is maintaining its dual focus on human resources and the development of distinctive new products and services. ‘We finished on December 18 with a top line of about £113m and our budget this year, inclusive of the BD Foods acquisition, will be £137m. We see ourselves breaking the £200m barrier in five years’ time.